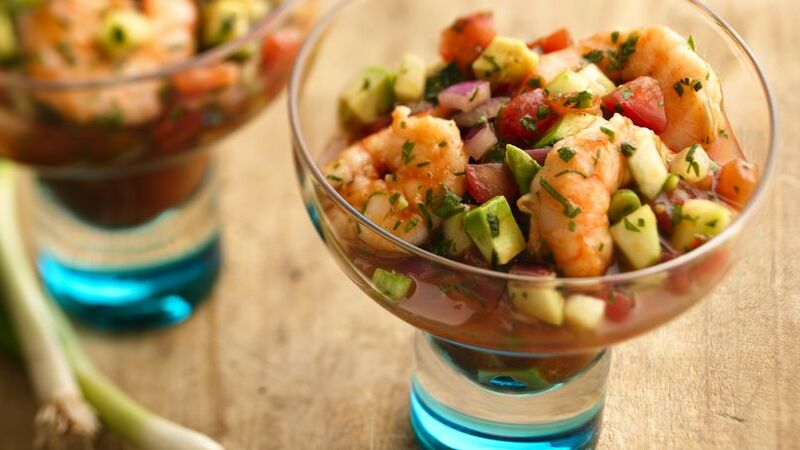 In large bowl, place shrimp, avocado, cucumber, onions, tomatoes, chile and cilantro; toss gently to mix. In medium bowl, mix remaining ingredients except crackers until blended. Pour over shrimp mixture, stirring to mix. Cover and refrigerate 1 to 2 hours to marinate. Spoon 3/4-cup shrimp mixture into each of 10 glasses. Serve with saltine crackers.